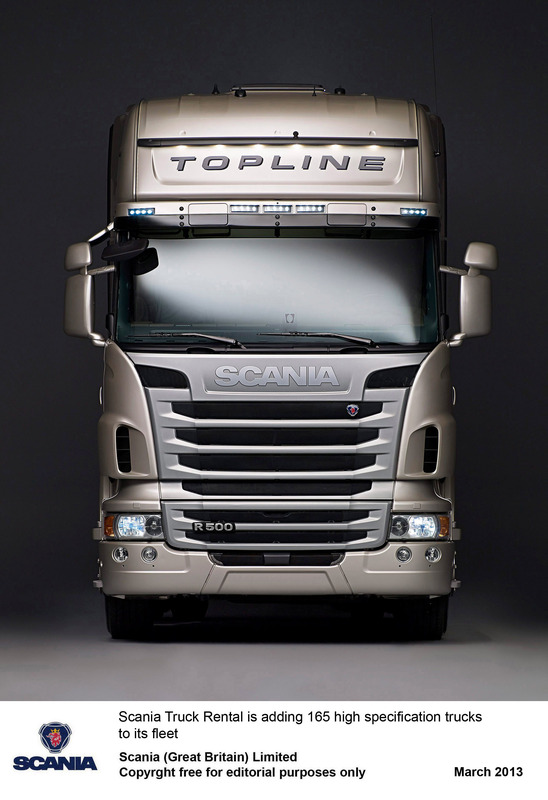 Scania Truck Rental, the nationwide commercial vehicle rental service operated by Scania (Great Britain) Limited, has made a multi-million pound investment in a total of 165 new trucks. Comprising a wide mix of models, the new vehicles have been selected to present Scania’s rental customers with a wide choice of premium specification trucks. The new Scania Truck Rental vehicles are mostly G- and R-series tractor units, with a choice of 4×2 and 6×2 wheelplans, including twinsteer and pusher axle options. Engine outputs range from 440 to 500 horsepower, with both EGR and SCR variants available. Manual or automatic transmissions are available, including Scania’s latest generation Opticruise automated gear selection system. 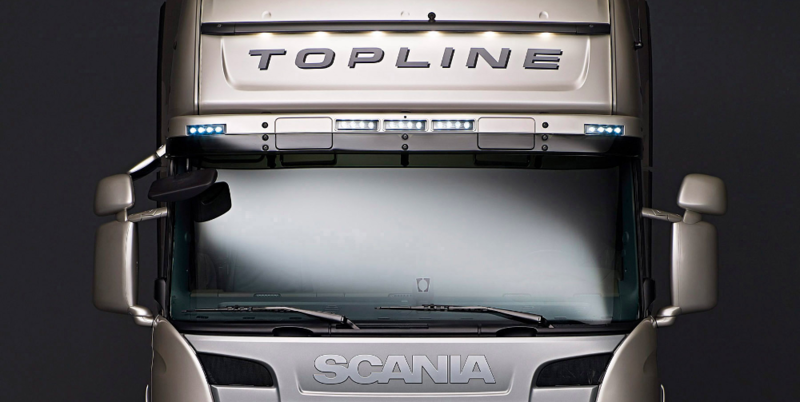 Cab choices include Highline and Topline options and the highly appointed Griffin Pack, which includes a range of high quality interior fitments, is available on 500 horsepower V8 models. 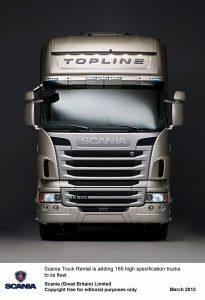 New rigids in the fleet include box and curtainsider options with gross vehicle weights of 18- and 28-tonnes. Each one of Scania Truck Rental’s 165 new vehicles will be equipped with Communicator 200, Scania’s on-board telematics solution, which enables operators to monitor vehicle and driver performance and track the vehicle’s whereabouts. Rental periods are from one day to 24 months and, together with all other vehicles in the comprehensive range offered by Scania Truck Rental, the new additions to the company’s rental fleet can be collected from any of Scania’s 90-strong network of UK service points or delivered direct to the location of the operator’s choice. Both long- and short-term hire options are available.